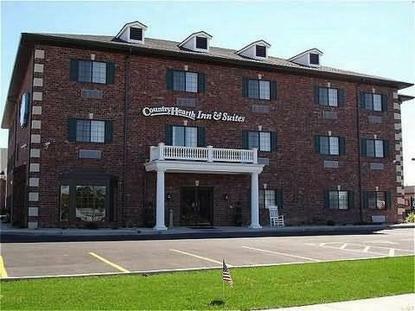 Country Hearth Inn Edwardsville is a new upscale 39 unit Inn with the country atmosphere of a Bed and Breakfast.Located in the new RPL Business park. The all brick 3 story building has an welcoming entryway with rocking chairs for relaxing. Once in the foyer has a cup of coffee or juice at our beverage center. At check in we have fresh baked cookies. A managers reception is served every evening from 1700-1900 and breakfast is served every morning from 0700-1000.